Confessions of a Frazzled Teacher: Happy Birthday Students! I love celebrating birthdays - my students and my own. 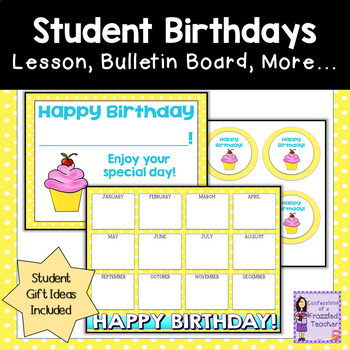 Since today is my birthday, I thought I would share (once again) my favorite activities for celebrating my students' birthdays. Disclaimer: There are some Amazon Affiliate links. Clicking on them will cost you nothing but may earn me a commission for each item purchased. 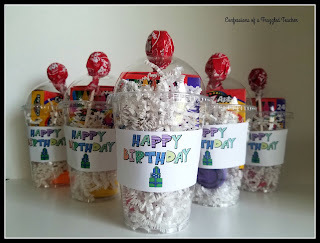 Click the pic to see how to make these cups. This tradition has become a favorite for me. 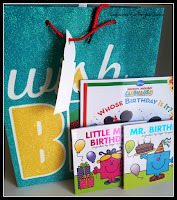 I filled a dollar store (notice a theme) gift bag up with birthday books. Students get to pick out the one that they want us to read during our read aloud times. (Please note: the students only pick a book for you to read, they do not keep them.) Because this is so popular, I even added a Birthday Books reading bin in our classroom library. 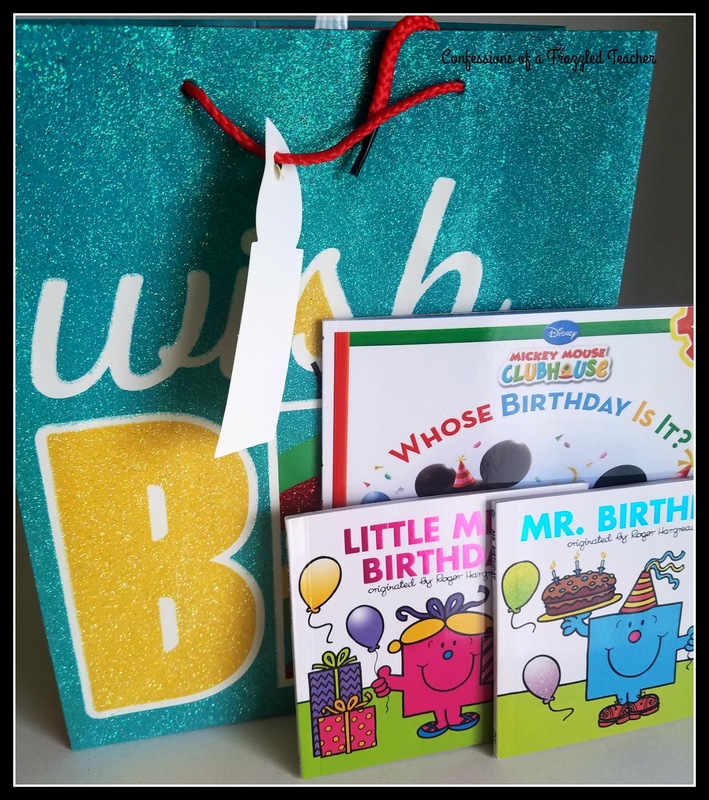 If you are having trouble thinking of birthday books, there are a couple to get you started in the picture above. I also put some more below to get you started. They were our classroom favorites. 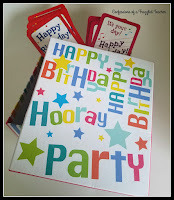 I have created a fun pack of birthday activities that I just put on TPT. 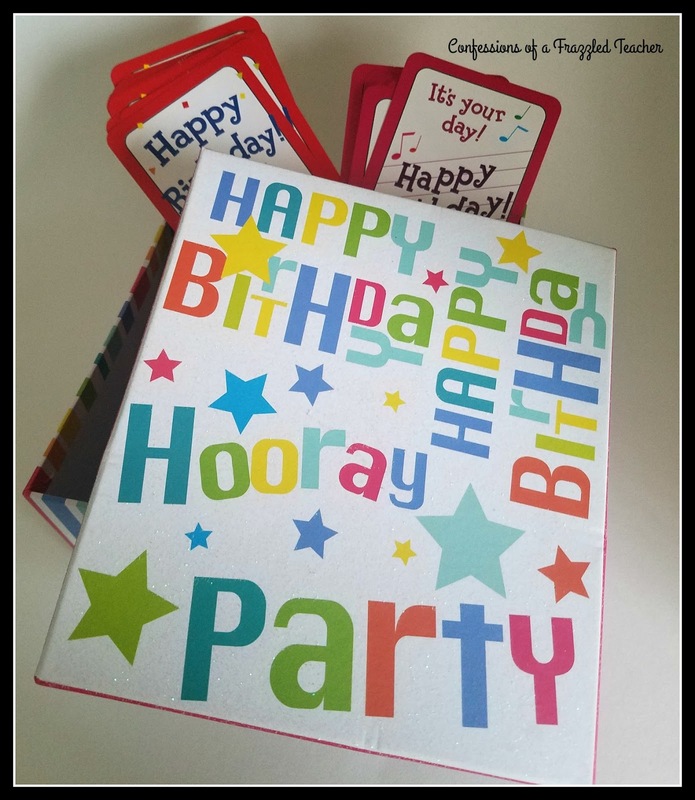 It contains labels for the birthday cups, a spot to record all your students' birthdays, certificates, sheets to create a class book and a few other goodies that I use in my classrom. Click the pic below to check it out. 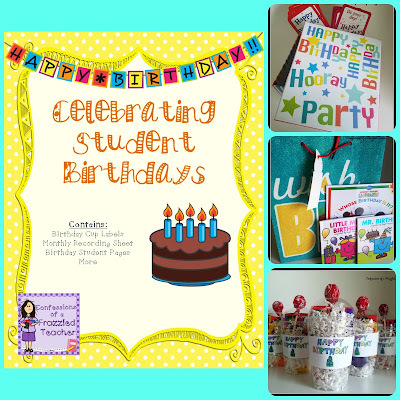 How do you celebrate your students' birthdays?